Titus Moetsabi is a Zimbabwean national with a Master’s Degree in Strategic Management (UK), majoring in Strategic Marketing Communications, and a Bachelor of Law Honours Degree (Zimbabwe). 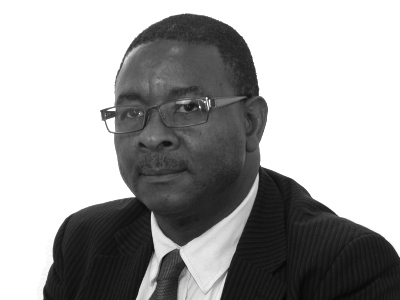 Titus is a certified Chartered Public Relations and Communications Practitioner with the Public Relations Institute of Southern Africa (PRISA-SA); and among other certificates, he holds a Certificate in Media Law and Policy Advocacy Training from Oxford University (UK). He is a theatre for development practitioner, director of plays, and has three published poetry anthologies. Titus has also published around community engagement, participatory communications, advocacy, social mobilization and communication for social and behavior change. He has 28 years in social development project / program management, country representation of international NGOs, communication for development (C4D), management consultancy, governmental media, and public relations. Titus is an expert in the provision of C4D communication support and capacity building to youth, WASH, Health and Nutrition, Child Protection and Education programmes while taking cognizant of cross cutting issues like gender and human rights. More recently, Titus was a C4D team member of the UNICEF Liberia and UNICEF Sierra Leone Ebola Emergency Response. His role in UNICEF Liberia included being the focal liaison with the United Nations Mission for Ebola Emergency Response (UNMEER). In Kambia District, Sierra Leone, he was UNICEF C4D Team Leader and Co-Chair of the Ebola Social Mobilisation Cluster. Prior to that, he worked for four and a half years in Afghanistan where he served as Communications Specialist for Ministry of Mines and Petroleum, UNDP Law and Order Trust Fund, and the International Development Law Organization. Titus served the African Union in Ethiopia, as Advocacy and Communications Expert responsible for the design of the communication strategy for the Campaign for Accelerated Reduction of Maternal, New Born and Child Mortality (CARMMA), and is a former Country Director of the AED Zimbabwe (now FHI 360) Strategically Managing AIDS Responses at the Workplace Programme. From 1996-1997, he was Chief Communication for Development Training Adviser for the UN FAO-SADC Center of Communication for Development based in Harare. Titus has multi-cultural experience working with many communities in Africa and Asia; funding partners; national and local governments and, the private sector. He has consulted for a vast number of local and international clients such as UNFPA, WHO, UN Women, UNESCO, USAID, DFID, Futures Group, Rockefeller Foundation, Pacific Institute of Women’s Health, SAfAIDS, Network of African People Living Positively with HIV and AIDS, Zimbabwe Women Resource Centre, Musasa Project, Women and Aids Support Network, Zimbabwe Association of Theatre for Children and Young People; among others.